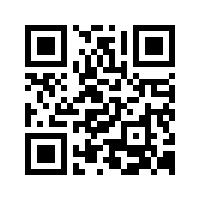 It's no secret that we love to use social media and QR codes to help promote our small business. Moreover, we love to help our clients do the same for their SMBs, so we've created some handy tools to help you drive traffic to your website or facebook page from your storefront and product advertising! You've probably already been exposed to QR Codes (also called 2D Barcodes) without even knowing it. I know I always love seeing them out in the wild, and more companies are using them for various marketing promotions. They're the little black and white square barcodes that you can scan with your mobile phone to be directed to text, a web address or other data. ...and that's just a few names from a long list of high-profile companies. More importantly, everyday more small and medium-sized businesses are adopting QR Codes as a great way to promote their products and services. If you're interested in creating your own free QR code click here to get started! Even if you haven't heard of QR Codes before there's a pretty good chance you've heard of Facebook, and you may already have a Facebook page created for your small business or organization. Not long ago Facebook actually sent out window signs that people could hang in their brick-and-mortar location to drive visitors and customers to the business's Facebook page, but not everyone was able to take advantage. Fortunately we've created a Facebook window sign generator that you can use to make your own sign for free! To get started go ahead and visit this link to download your own Facebook window sign. I hope you enjoy your barcodes and window signs, and if you do make one please leave a comment below as I'd love to hear how you'll put it to use. If you're not quite sure how a QR Code campaign or a Facebook window sign could benefit your business or non-profit, contact us today to discuss a digital marketing strategy!